In the first month of Summer, the shifting tides of Cancer impelled many individuals to secure their own “place of comfort”. Now, the tides have settled—and the Earth is aglow with the radiating warmth of Midsummer’s light. These glorious conditions (and the shift to the masculine polarity) gives many individuals the confident—to step out of their self-instilled safety zones and strut “oh so proudly”out into their neighborhoods. There, in the spotlight of the Leo Sun, these Lions view the magnificent arrangements in their surroundings—those created by Nature, as well as others. Instantly, these cats envision ways to make “The Show” bigger and brighter. “Hey, let’s build a gazebo in the park, paint city hall red and create a theater for the arts!” Naturally, all of the creative visions of our Leo friends will be done with elegance and class—and often “way over budget”. With these grandeous visions, the next step is for these Lions to convince others of their grand plans. To this end, these Leos will use their theatrical gifts—to divert the course of a charging Aries Ram, arouse the sensations of a herd of Taurus Bulls, activate the minds of a gaggle of Geminis and torque the emotions of a pod of Cancer Crabs. These Lions are incredibly capable of persuading their fellow humans to contribute their services. This service is performed next month when the Sun goes into Virgo. Throughout the year, these lions see a world as rich and abundant as what they see in the middle of Summer. This makes many of these cats extravagant and wasteful. Strangely, these daring creative impulses often work in their favor. In Leo’s mid-summer light, everything is in “bake mode”, as the hot Sun heats everything to the core. This fixed fire of the Leo Sun concentrates the heat in the lion’s giant hearth of a heart–the organ that feeds fuel to all of the parts of the body. This expansive energy fills Leo’s huge barrel-sized chest, which is proudly extended to the front. The resulting body language gives easily draws attention—as they paw, purr, preen and parade on their imaginary stage. This sign is ruled by the Sun and perhaps that’s why some Lions believe “everything revolves around them” and they are the source of ALL creation. 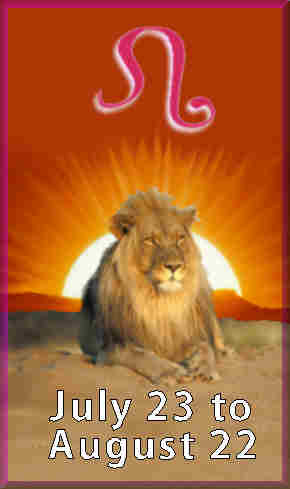 Positively, Leo’s radiant glow can light up the inner confidence of all of the people in their presence. These cats have a way to make YOU feel good about yourself. Sandra Bullock’s sunny solar disposition reigns, but the emotional reactions of her Aquarius Moon bring a noticeable electricity to the fixed qualities of her Sun. These airy breezes cool the fires, as they make her appear less self centered, and seemingly attached to some distant concept that exists outside herself. This mental nature is enforced, as Sandra’s Gemini Ascendant loosens the fixed holding patterns and injects a mercuric quality to her persona. Daniel Radcliffe shows the assured qualities of his Sun but he also shows the emotional reactions of an Aries Moon—as did his Harry Potter character. 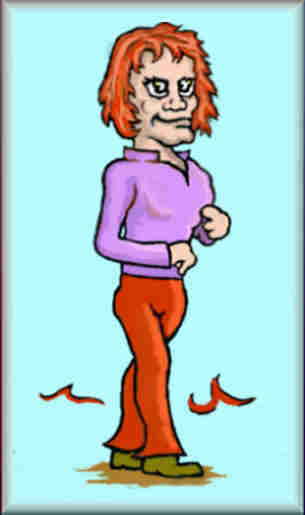 Note his short-fused emotional nature and how he often reacts in an exploding burst of fire—which propels him into instant action. Naturally, this energy quickly subsides as his Sun brings the charging forces back into control. In contrast,when Delta Burke reacts to others, her Taurus Moon smothers the fiery dramatics. These Venusian energies are further enhanced by the gentle breezes of her Libra Ascendant. 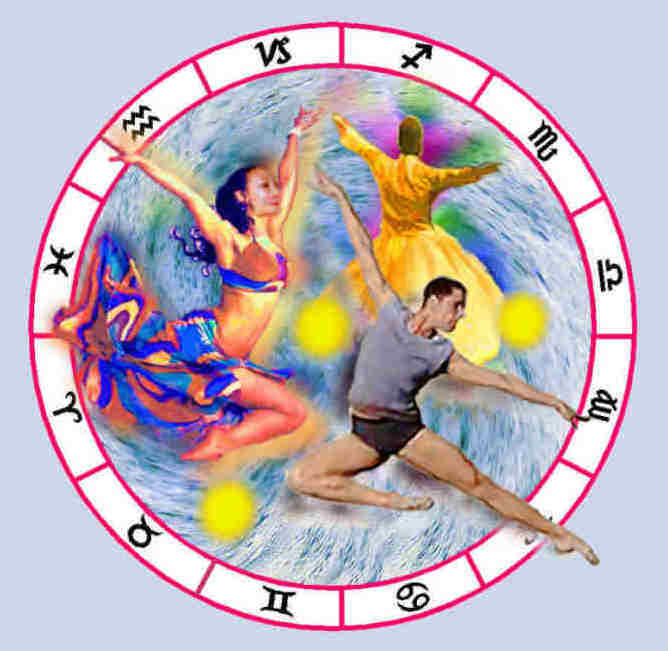 To her Sun’s delight, this double dose of Venusian energies easily attracts the attention of others. When Laurence Fishburne interacts with others, we see a different emotional pattern, since his Moon is in Pisces. Watch how Laurence’s lunar reflections undulate and shift as they inject moments of doubt and uncertainty. Naturally, when his emotions subside, the lion’s aura of confidence quickly returns. All of these celebrities show physical traits that resemble those of a lion. Burke and Fishburne clearly display the cubical skull, the blocked forehead, the wide square cheek bones and jaw associated with the fixed signs. Also we see the massive mane, the broad but stubby nose and the jowls on the side of the mouth. Many of these cats display an abundance of hair. In the males, beards are quite prominent. With Leo’s heartfelt connection to the environment, each individual realizes he or she is not the only star on the stage, but part of a spectacular show–that is performed by a Creator greater than one’s self. Nature is now showing hints of cooling as Leo’s Midsummer Light makes its’ final curtain call. It is clear that it will take a collective effort to prepare for these coming changes. (This collective recognition is represented by AQUARIUS, the opposite sign to LEO). Also, it is clear we will need others to serve so that we can complete this monumental task. This service comes in the final month of the Summer, when the Sun enters VIRGO (the next sign in the Zodiac).